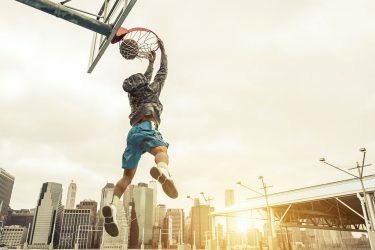 Is your potential held back by fear of failure in sports? If you can’t breakthrough your performance impediments and you are just turning your gears, it’s a good bet that you are limited by a wall of stress – your own fears. What is fear? Fear comes in many forms – panic, dread of success, fear or humiliation, and so on. 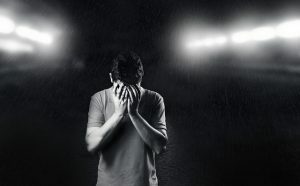 Many athletes hit the wall of stress caused by fear and many other negative emotions. More than any other fear, the fear of failure restricts athletes from performing their best. It can cause them to give up their dreams in sports. Do you feel like you are constantly hitting your head against an imaginary wall because you work harder and harder to perform your best, but simply become more frustrated with a lack of improvement or success? For numerous players, it is far easier to work harder and harder than to address their internal demons that holds them back. Many athletes will make a change in program to improve performance way before they attempt to look inside themselves at their self-sabotaging beliefs. It does not matter how hard you work at your sport unless you work effectively and work on the right parts. And all the hard work you do to get back towards your sports goals can backfire when you hit a brick wall of stress caused by the fear of failure in sports. The bottom line is that most athletes have high expectations, love to train hard, and want to win. 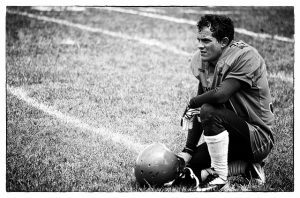 Athletes are too engaged with their regular rule routines to stop and address the biggest roadblock on the road of success – fear of failure and beliefs that limit physical potential. Several mental challenges are a result of the fear of failure, such as poor self-confidence, worry about making mistakes, fear of rejection, embarrassment, and the list goes on. One of the biggest downsides of fear of failure is having an intense avoidance mindset. Players with an avoidance mindset strive to avoid pain instead of striving for success. 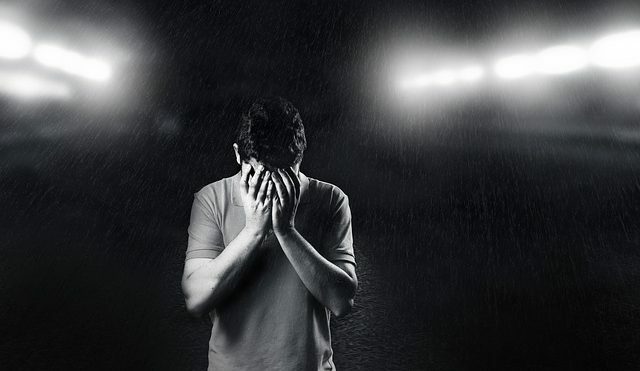 Athletes condition their minds to escape making mistakes and emotional pain at all costs. The first place to start in order to stop fear of failure is to identify what type of fear causes you to bang your head against the imaginary wall of stress. Most of these fears are born out of an intense desire to succeed or to avoid the negative social scrutiny. Most athletes with the fear of failure in sports are afraid to fail or lose because they work so hard to achieve their goals and succeed. This intense desire to succeed is the cause for athletes to worry about not reaching their goals. An athlete grows very concerned about not achieving, or gaining social recognition, that he or she dwells too much about avoiding failure. The next step or change you must make to break through the wall of stress is to focus your mind on seeking to obtain success instead of avoiding failure. When you sharpen your mind on obtaining success, you will come closer to obtaining it. One additional strategy is to make sure that all the mental imaging or visualizations in your mind will focus on obtaining success rather than avoiding failure.